Triple heavyweight vinyl, double gatefold, download card included. 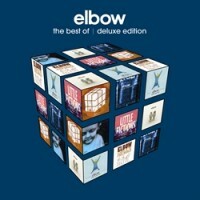 Elbow release a handpicked collection of their best moments to date. The album features tracks from all the band's seven studio albums to date and highlights their incredible musical output over the last eighteen years from the release of the Newborn EP in 1999. Also featured on the album as a bonus track is the band's version of The Beatles 'Golden Slumbers', as heard on the John Lewis Christmas advert directed by Michel Gondry.